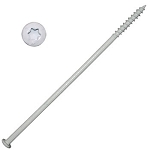 #14 x 7in Star Drive Gutter Screws - White / 250 per carton approx. 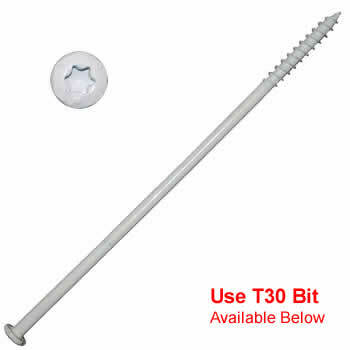 Use T-30 Bit These "Star Drive" Gutter Screws make quick and easy work of installing or repairing your gutter system! 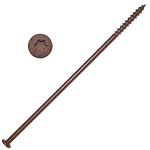 Available in ceramic coated brown or white in 50ct jars, 250ct bulk packages and individually!